In AlexSandra Lett's newest book, Coming Home to my Country Heart, Timeless Reflections on Work, Family, Health, and Spirit, she opens with a chapter on "Going Crazy...Getting Sane" when she leaves behind her public relations/marketing company and seeks to find a higher purpose for her career and more meaning in her life. As she explores her voice as a writer she discovers success in writing nostalgia and returns to her home community, then experiences the decline and death of both parents, suffers a health challenge, and finds spiritual strength. In keeping with the timeless theme, the book's subtitle is Timeless Reflections on Work, Family, Health, and Spirit. 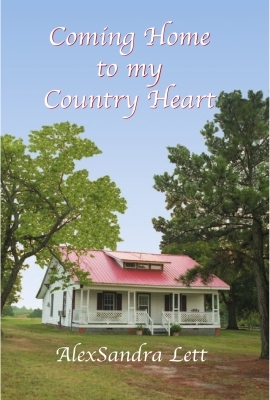 Today, Lett is honoring her deep roots and has come home to her country heart.